January 2019 will see two of the highly anticipated launces in the compact SUV segment. We are checking how strong they are to take on the segment leader and other competition. 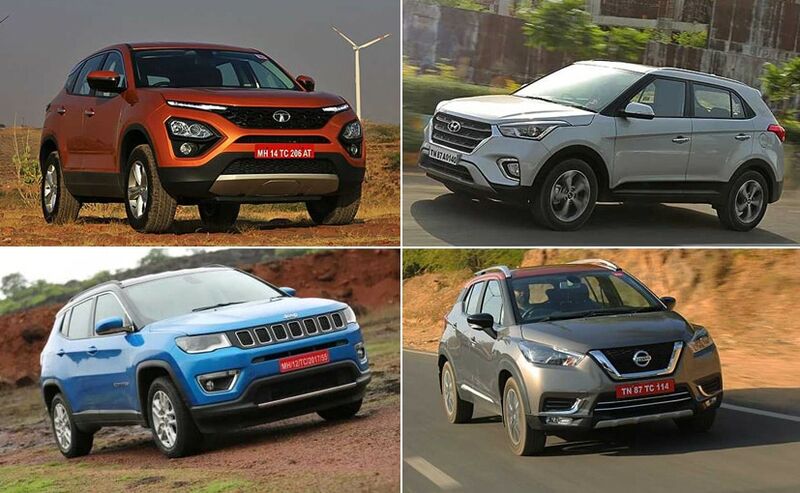 We compare the specifications of upcoming compact SUVs with the existing ones. The compact SUV segment will see two new awaited launches in January. Both SUVs will have to compete with the rivals. Hyundai Creta is the segment leader. The Hyundai Creta has been a runaway success for the Korean carmaker right from the start and has been India's bestselling compact SUV for long. The benchmark it has set in the segment has always been a challenge to comprehend for the competition. However, January 2019 is going to be rather interesting as the compact SUV segment will see not one but two new SUVs coming- the highly anticipated Tata Harrier and Nissan Kicks. carandbike team has driven both the SUVs and they not only stood on our expectations but have surpassed them by a margin. While it is not possible to justify the package as the prices are still awaited, in the meantime, we are comparing their specifications to assert how well they will stand against the competition on paper. The Tata Harrier has the biggest footprint in the segment. A huge edge for the Tata Harrier comes from the OMEGA Platform it is based on. The OMEGA platform is a derivative of Land Rover's D8 platform which underpinned the Freelander 2 and was modified for the Discovery Sport. The Harrier also debuts Tata's new IMPACT 2.0 design philosophy and stands true to the H5X concept which was unveiled at the 2018 Auto Expo. The Harrier is not only larger in dimensions than the Nissan Kicks and Hyundai Creta, but also has the largest footprint in its segment. The India-spec Nissan Kicks is bigger in dimensions than the global model. The India-spec Nissan Kicks is underpinned by the MO platform which is also shared by the Renault Captur, Renault Duster and Nissan Terrano. The MO platform is more robust than the one on which the global model is based on and has a bigger footprint which translates into better cabin space. It is also marginally bigger than the Renault Captur. 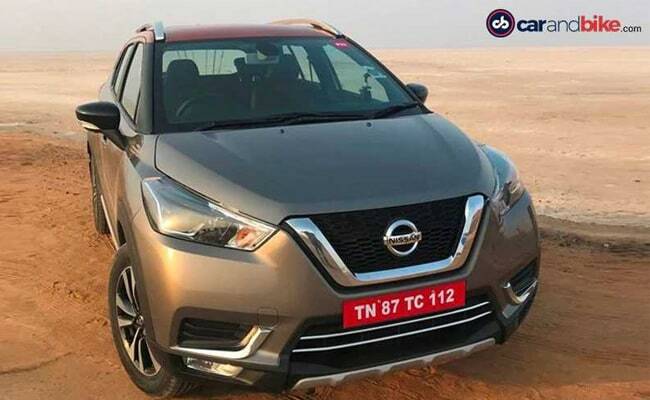 Though the Nissan Kicks looks more of a crossover with its angular proportions, treatments like a floating roof, bold body claddings, slightly exaggerated wheel arches and a hunkered down front housing the wide Nissan 'V' grille give it a nicer and butch looking stance. The Hyundai Creta gets the family cascade grille which makes it face look wider. The Hyundai Creta has been the undisputed leader in the compact SUV segment for long. It is underpinned by Hyundai's PB platform which is also the basis for many other Hyundai and KIA models. 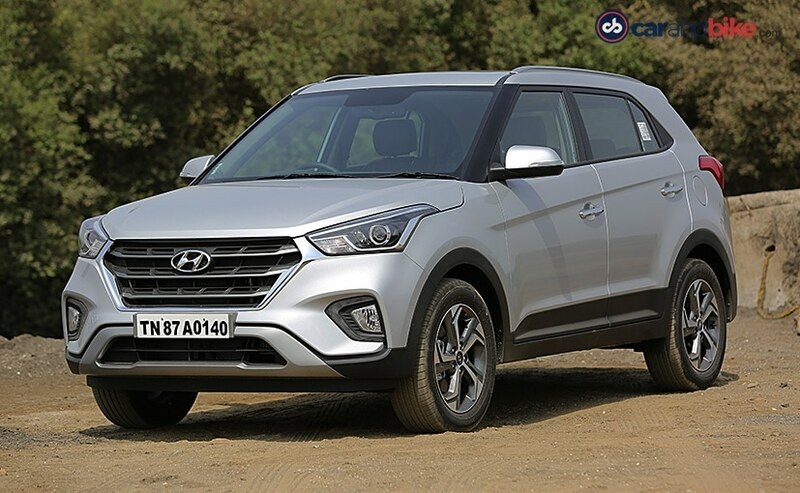 The Hyundai Creta had received a facelift earlier this year which has made its much-admired urban SUV look even better with a newly profiled bumper and the three-slat cascade grille which has made it look wider up-front. There hasn't been any major change in the side profile and the rear bumper has just been slightly tweaked to fit the skid plate. The Jeep Compass is based on the Renegade's derived MK platform. The Jeep Compass is based on the MK platform which is a modified version of the Jeep Renegade's platform. The MK platform has also been widely acknowledged for its robust characteristics and has been the key factor in getting the Compass a five-star rating in the GNCAP. 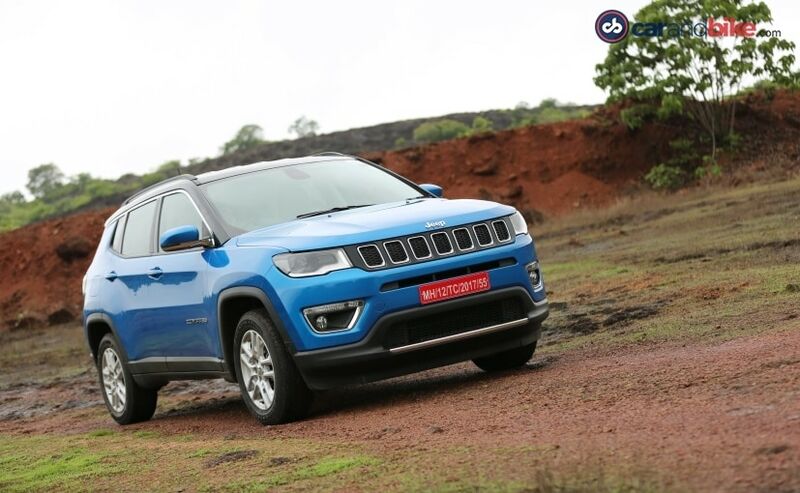 The Compass is one of the most proportionate compact SUVs around and its 'on the face' front housing the prominent seven-slat grille looks butch. The sides and rear of Compass have been kept simple, though the wheel arches and haunches are a bit flown out in a bid to add some SUV appeal. The Renault Captur is marginally smaller than the Nissan Kick. The Renault Captur is based on the same MO platform as the Kicks which is its counterpart from Renault. 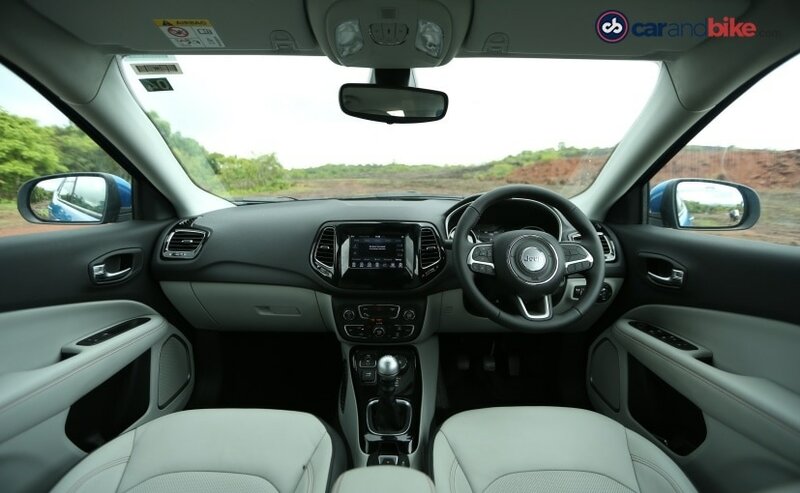 However, it is not nearly identical in dimensions as is the case with the Duster and Terrano and there is a marginal difference between the Captur and Kicks. 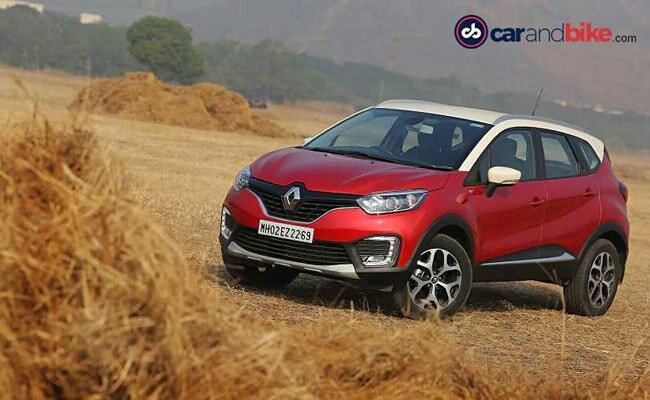 The Captur, in fact, is shorter and lesser in height than the Kicks; however, has the same wheelbase and width. They both are exactly not the same even in design like the Duster and Terrano and has their own builds and appearances. The front of the Captur is more upright than the Kicks and though it also has a floating roof, its flanks are more curved inwards and the window line rises towards the end giving it more of a spherical view from the side. 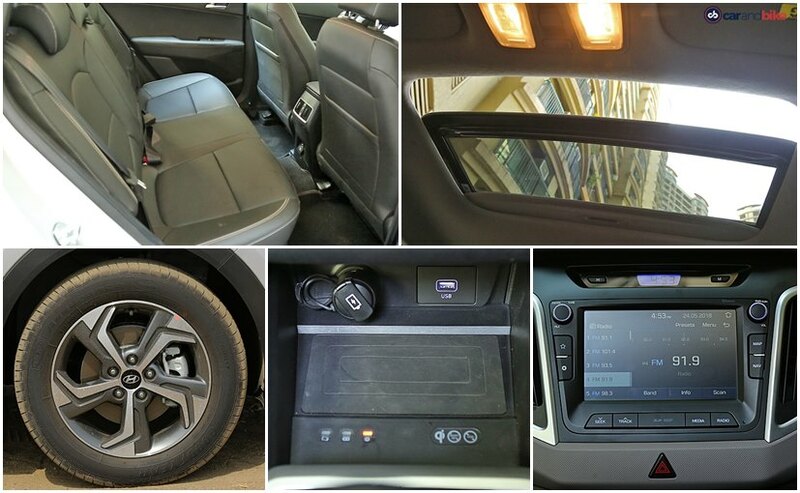 The Harrier's cabin looks uncluttered and futuristic and packs in a good dose of features. The Tata Harrier has the largest footprint in all and of course, has the most spacious cabin. Now what adds to the package is the quality of materials and finish of the cabin. Everything from the oak wood palette used on the dash and grab handles to the soft touch upholstery feel plush and better than its class. 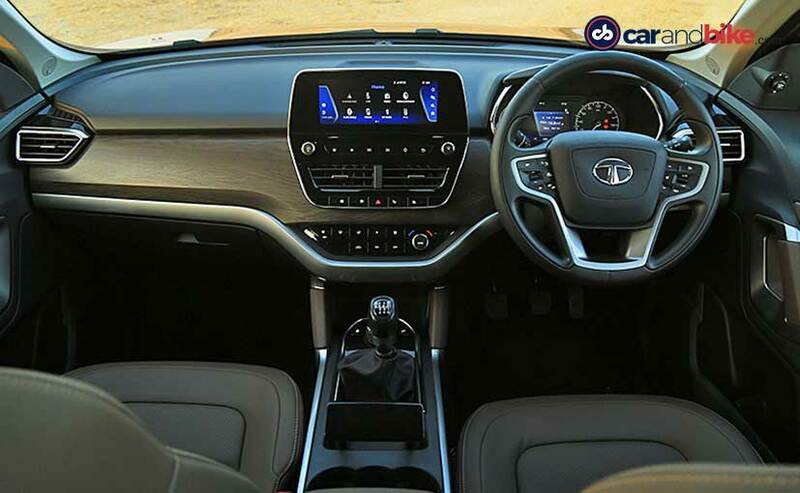 Aesthetically the cabin of the Harrier too looks alluring and uncluttered, be it the wraparound dash with a binnacle line running the width of the cabin or the 8.8-inch floating touchscreen which is high on functionality and eliminates many buttons. The Tata Harrier at 425 litres has the biggest boot space too of them all with all seats up which can be further expanded to 800 litres. The Nissan Kicks cabin gets soft-touch materials on the dash and door pads. The cabin of the India-spec Nissan Kicks has also been applauded and is better finished and equipped than the global model. It also gets soft-touch treatment on the dash and doors; however, not on the upholstery. The design even here is neat and the 8.0-inch floating display integrates all the controls for the infotainment and ambient sparing just the climate control which has physical switches on the central console. The Nissan Kicks has a boot space of 400 litres. The Creta's cabin has been its one of the strongest selling points. 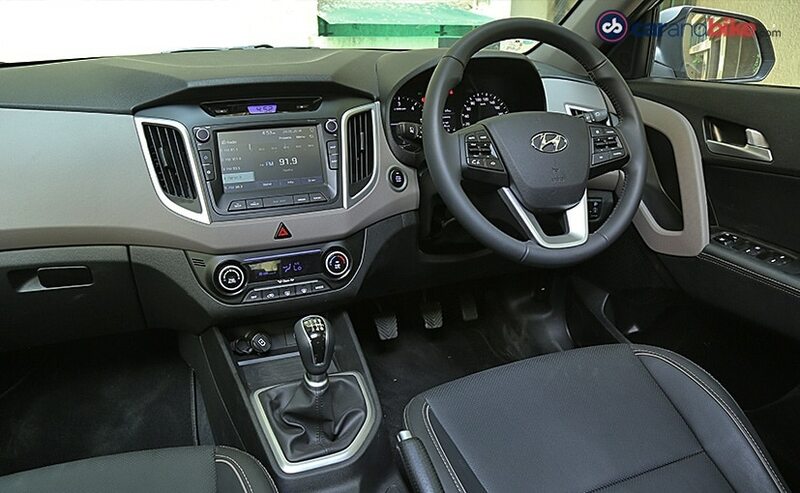 One of the strongest selling points of the Hyundai Creta is its interiors which is both high on material quality and fit & finish. However, it's been almost four years that we have had the Creta in our market and the design has started looking dated now specially when you put it beside the Harrier. Having said that, the cabin still feels airy, thanks to the not so high window line and high positioning of the seats. The Creta gets a 405 litres boot. The Compass gets the best in class materials and a really well finished cabin. 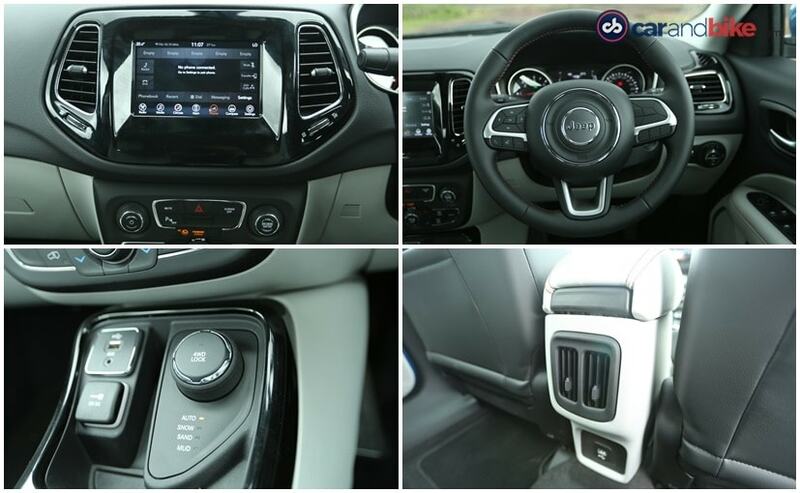 The Jeep Compass also has one of the most well-finished cabins in its class and the quality of materials used for the switch knobs (plastic and chrome) and on the upholstery (which are soft touch) feel premium. The cabin itself is well appointed and one cannot really complain about the ergonomics spare the ingress and egress for the rear passenger as the door wells don't open wide enough for a climb given its high ground clearance. The legroom at the rear also isn't the best in its class which could be because its wheelbase is comparatively shorter considering its length. That said, it stands second in terms of boot space with 408 litres which can be further expanded to a whopping 1191 litres. 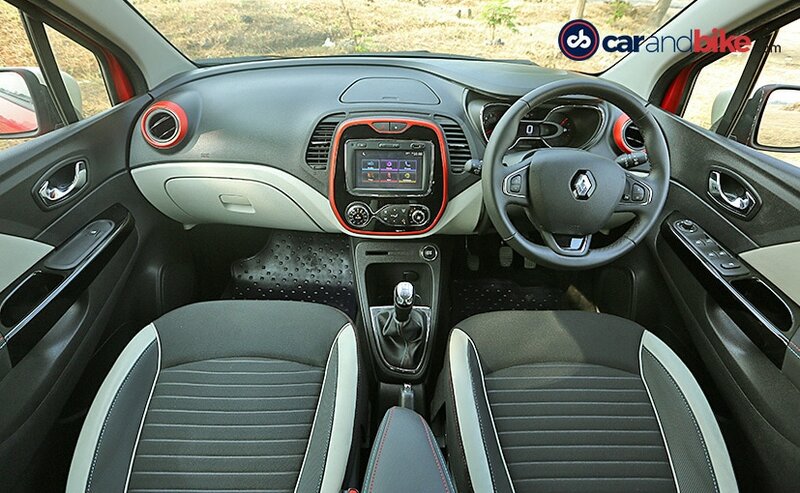 The Captur's cabin is well-built but lacks soft-touch on the upholstery. 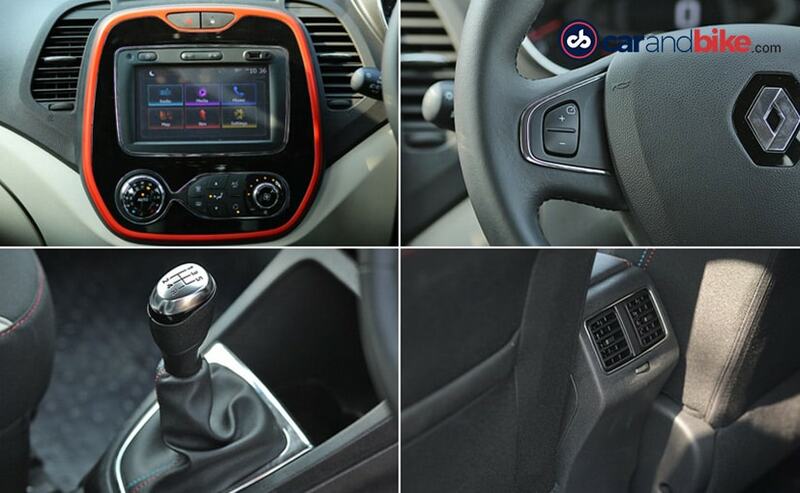 The materials used in the Captur are of good quality just that there is no soft touch surface. The space inside the cabin is almost similar to that in the Kicks, given the fact that the wheelbase and width are same. However, the boot of the Renault Captur at 392 litres is comparatively less spacious (8 litres less) than the Kicks. The upcoming Tata Harrier is well equipped with all the segment standard features on the outside as well as on the inside. Features like LED Daytime Running Lights (DRLs) and HID Xenon headlamps are the first ones to sight as you see the SUV while the cabin is equipped with terrain drive modes, auto climate control, keyless entry and go, 8.8-inch touchscreen infotainment system which supports Apple CarPlay and Android Auto and is linked to a JBL sourced surround sound system, logo projection on the outer mirrors and more. However, there is no sunroof on offer. 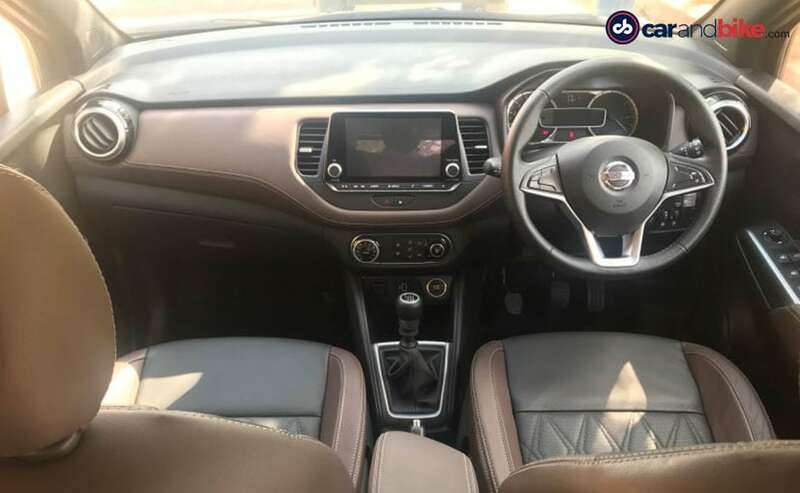 The Nissan Kicks is also at par with the Harrier in terms of comfort creature features and functionality, just that the touchscreen here is a tad small at 8.0-inch and it's not connected to a JBL sound system. That said, it does support Apple CarPlay and Android Auto and has 360-degree camera view which is a segment first feature and a big aid to nip through tight spots or while parking. The Hyundai Creta still remains the leader of the board as it packs in a bit extra. The top-end Hyundai Creta also gets a sunroof, wireless charging dock and wristband entry along with all the features that other two are offering such as touchscreen unit which supports Apple CarPlay and Android Auto, engine start-stop button and more. The Jeep Compass too gets a fair dose of equipment and offers features like an 8.4-inch touchscreen connected to Fiat's U-Connect interface which supports Apple CarPlay and Android Auto. Features like LED Daytime Running Lights (DRLs) and HID Xenon headlamps are also on-board and the cabin is equipped with terrain drive modes, auto climate control, keyless entry and go and more. The Renault Captur will also offer all the quintessential features like Projector headlamps, DRLs, auto climate control, Engine Start-Stop button and more. However, it gets a touchscreen which only supports Android Auto as of now. The Tata Harrier will be offered with just a single drivetrain option at the launch- a fiat sourced 2.0-litre, four-cylinder, multijet diesel which is mated to only a six-speed manual gearbox as standard. It lacks an automatic transmission which is quite a limitation considering the increase in the demand for automatic transmissions. That said, this is the second most powerful engine of the lot with 138 bhp and 350 Nm of peak torque of tap. The Nissan Kicks will get the same drivetrains which are seen on the Nisssan Terrano, saving for the automatic. There will be one 1.5 litre diesel engine which will produce 108 bhp and 248 Nm of peak torque and will be mated to a six-speed manual gearbox. While there will be no automatic at the start, Nissan is considering introducing it at a later date. The petrol Nissan Kicks will also get a 1.5-litre petrol engine which will produce 104 bhp and 145 Nm of peak torque and will be mated to a five-speed manual gearbox as standard. The Hyundai Creta again will take advantage of multiple drivetrains it offers. Starting with the diesel, there is a 1.4-litre CRDi engine which produces 88 bhp and 220 Nm of peak torque and is mated to a six-speed manual gearbox as standard. Then there is a more powerful 1.6-litre, four-cylinder, CRDi diesel engine which produces 125 bhp and 260 Nm of peak torque and is mated to a six-speed automatic gearbox as standard while has the six-speed torque convertor unit as an option in the SX variant. Then there is a 1.6-litre, four-cylinder, VTVT petrol motor which churns out 121 bhp and 151 Nm of peak torque and even this one is mated to a six-speed manual gearbox as standard while six-speed automatic is optional on the SX variant. The Jeep Compass is also available with two engine options. The diesel Compass has a 2.0-litre, four-Cylinder, multijet engine which produces 170 bhp and 350 Nm of peak torque and is mated to a six-speed unit as standard It's the same engine which the upcoming Tata Harrier will get, but iss the most powerful in this application. 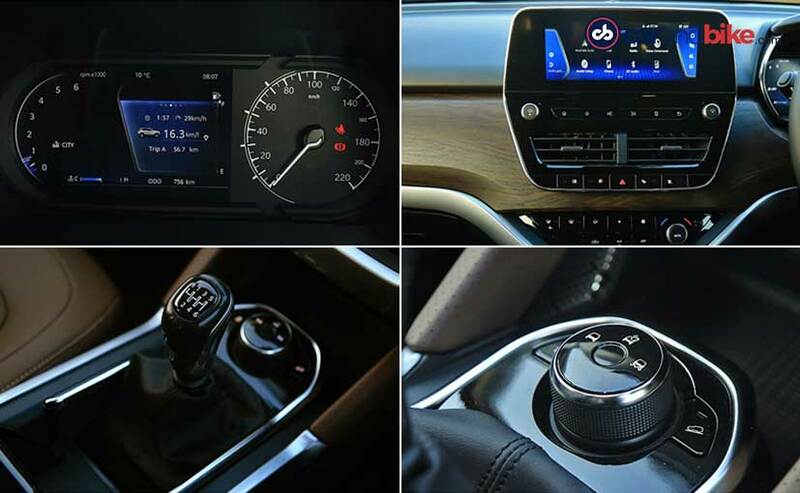 The diesel Compass is also the only among these five which has a four-wheel drive variant. The Petrol gets a 1.4-Litre, four-cylinder engine which produces 160 bhp and 250 Nm of peak torque, There are two gearboxes on offer with the petrol engine- a six-speed manual transmission and a seven-speed automatic transmission. The Renault Captur has the same drivetrains as the Kicks. The Diesel is powered by a 1.5-litre, four-cylinder engine which produces 108 bhp and 248 Nm of peak torque and is mated to a six-speed manual transmission. The Petrol gets a 1.5-litre, four-Cylinder petrol motor which produces 104 bhp and 145 Nm of peak torque and is also mated to a six-speed manual gearbox. 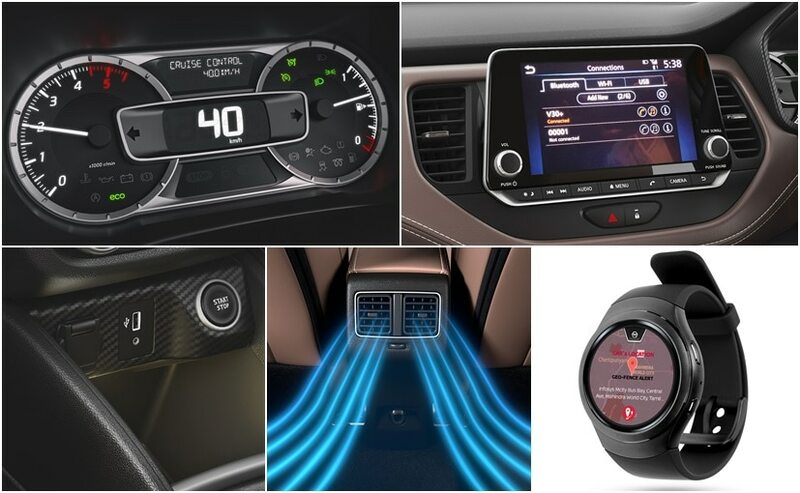 The Harrier and Compass are the safest among these five in terms of features. 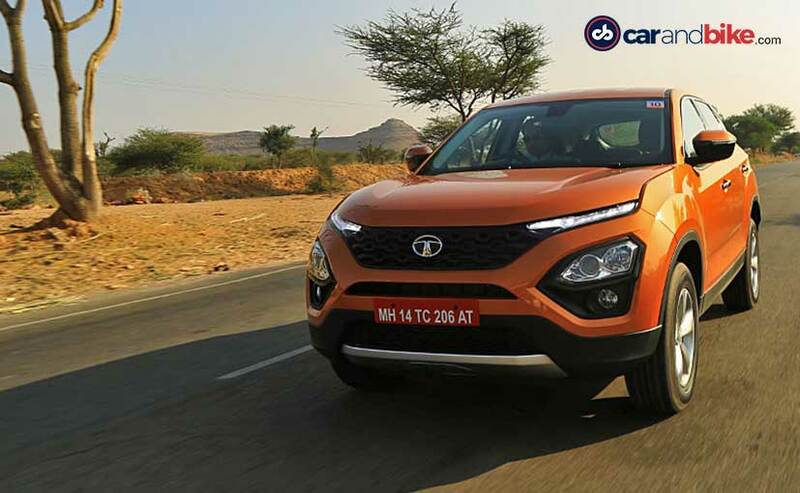 On the safety front, it's the Tata Harrier and Jeep Compass which take the lead as they offer a bunch of more driver-aid features such as, Roll Over Mitigation, cornering stability control, traction control and hill descent control. 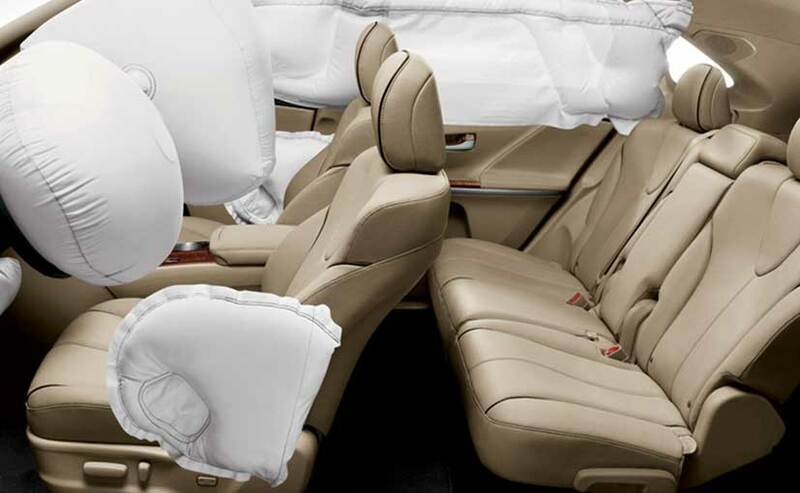 Dual airbags and ABS with EBD are standard in all three of them and the top-end variants of all three get six airbags and Electronic Stability Program (ESP).